This app lets you add the re-captcha for registration in the chackout page. It is a system designed to establish that a computer user is human. 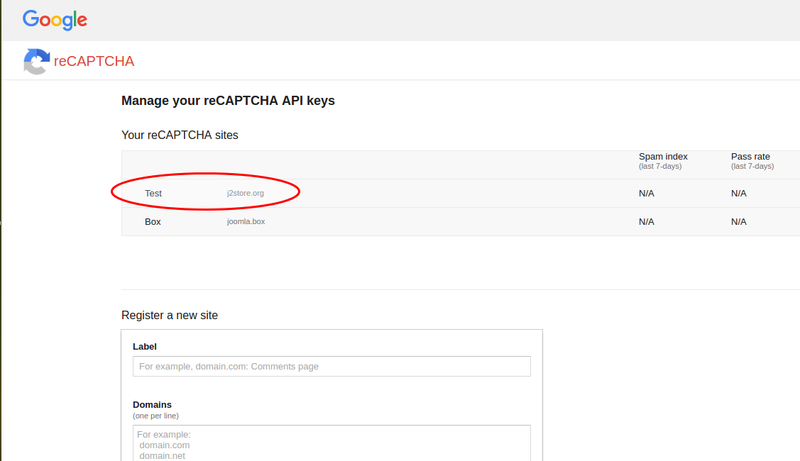 Click Enable in the Recaptcha for J2Store Register app. You can choose either Dark or Light. 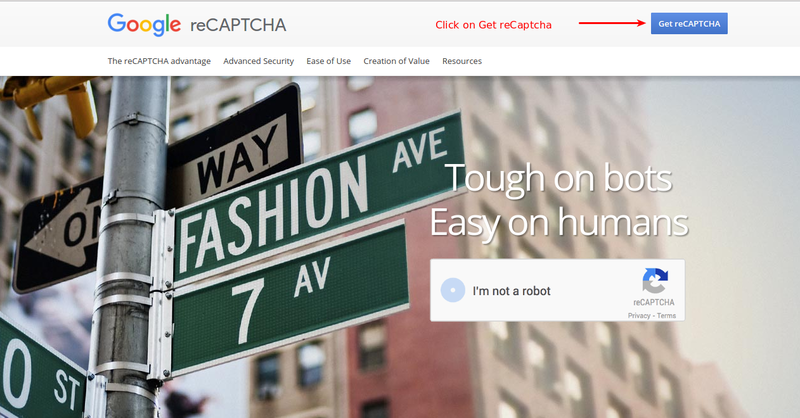 ReCaptcha will be displayed with the style of theme chosen here. How to get Site Key and Secret Key ? 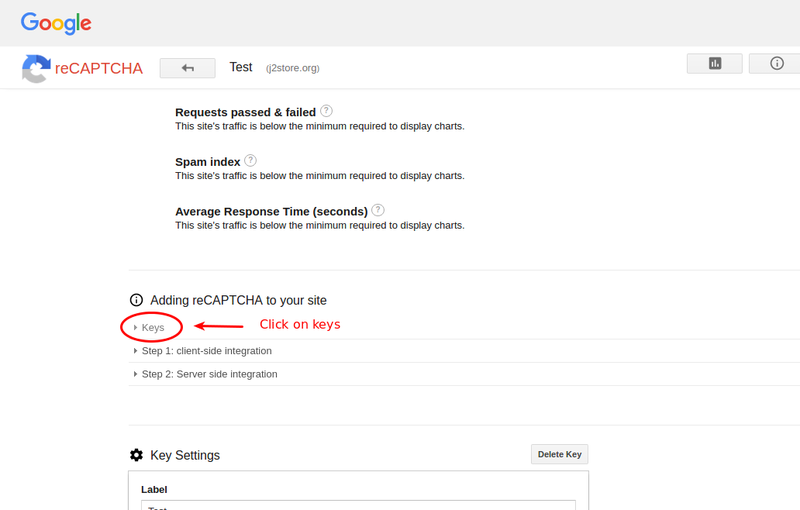 Click on Get reCAPTCHA button. 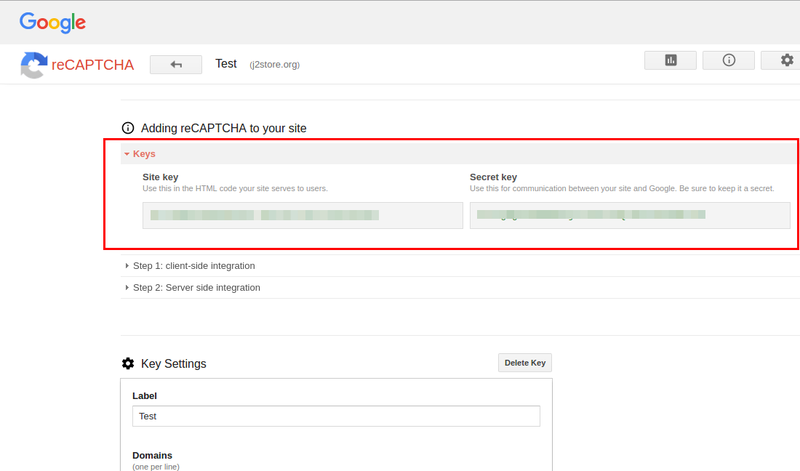 Move to the section Adding reCAPTCHA to your site and click / expand on keys to view the site key and secret key. Please refer the image below.